For more than 30 years, America’s finest stars meet in Independence, Kansas to celebrate one of the greatest in American theatre, William Inge. A native of Independence, William Inge received the Pulitzer Prize and was an Academy Award-winning playwright. This four day festival honors great playwrights for their Distinguished Achievement in American Theatre. Since 1982, Independence has welcomed many theatrical giants including Arthur Miller, Neil Simon, August Wilson, Wendy Wasserstein and Stephen Sondheim. 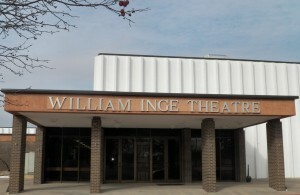 The William Inge Festival is the official theatre festival in the State of Kansas. The William Inge Festival is filled with live performances, workshops, panel discussions, tributes, parties and great food! We invite you to sit in on a master class with Broadway veterans, appreciate classic and contemporary plays, and join theater enthusiasts nationwide in saluting the best from the stage. Inge House Scenes: A selection of scenes written by Inge and past honored playwrights are performed at the historic Inge family home, where many of Inge’s plays were inspired including COME BACK, LITTLE SHEBA, PICNIC and THE DARK AT THE TOP OF THE STAIRS. The William Inge Festival Foundation restored the home with period furniture and now uses it for playwright and theatre artist residencies, performances of scenes, guided tours, and hosting meetings and parties in the community. Inge About Town: Short plays inspired by the work of William Inge will be performed throughout Independence. Four different plays, in four different spaces—these “theaters” are storefront floors and home parlors, transporting visitors to historical Independence. The audience is a small group that travels to each of the four venues, sharing the performing space with the actors. Guided Bus Tour: This tour shares Inge’s historic hometown of Independence, Kansas with festival goers. Ken Brown, ICC history professor emeritus, created the tour of Inge’s hometown in 1985. 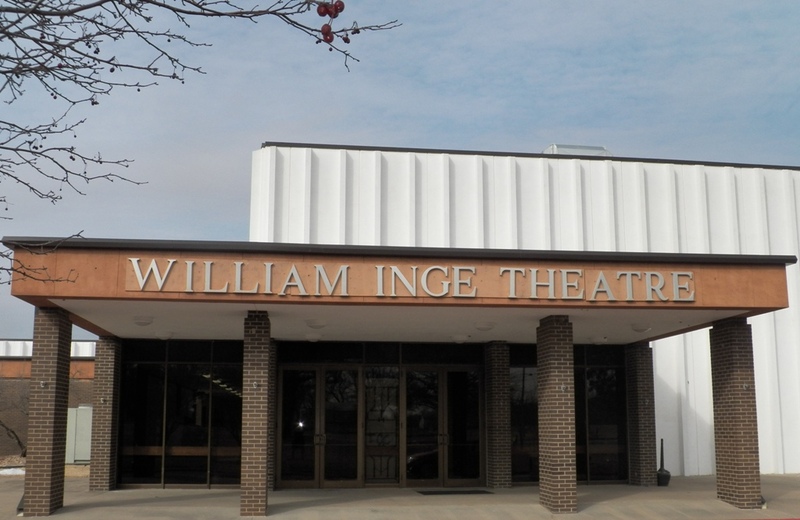 The one hour tour begins at the William Inge Theatre and includes such locations as Inge’s birthplace, his boyhood home, his grandparent’s home and his grave, and several additional points of interest which Inge describes in his novel, My Son is a Splendid Driver. High School Inge Scene Acting Competition: The area’s most talented high school student actors compete for cash scholarships. Nine separate cash scholarships are awarded to individual actors, ranging from $100 to $500. The winning scene performs in front of national theatre celebrities at the Annual William Inge Theatre Festival Tribute Finale. Gala Dinner: Dine with guest artists and honorees. The evening features a variety of live performances. Picnic: Beautiful Riverside Park is the setting for a delicious picnic lunch with festival guests and honorees. Lunch is served in the 4-H Building, next to the stadium. After lunch, enjoy a ride on the miniature train, stroll through the zoo, or ride the historic carousel for just a nickel! Experience theater like no place else at the William Inge Festival. Moving Auction May 25th, Independence KS 12:30 p.m.